The battle of bottled water vs tap water is ongoing. Both of them are used as sources of drinkable water all over the world, but which is really better? 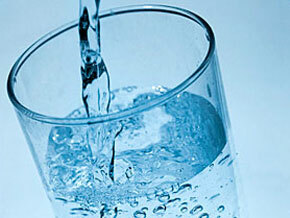 Tap water is the primary source of drinking water by most Americans. But concerns about the municipal and city tap water systems gave rise to the popularity of bottled water. Many believe that bottled water is safer than tap water and it is more convenient to have wherever you go. But recent studies have shown that roughly 30% to 40% of bottled water is tap water. In addition, tests revealed that some bottled water has higher amounts of contaminants compared to tap water. The FDA (Food and Drug Administration) regulates the safeness of bottled water, while the U.S. Environmental Protection Agency (EPA) takes charge of the tap water. Water service providers are required by the EPA to conduct hundreds of tests every month and disclose tap water sources, contaminants and even possible health risks. Also, the EPA mandates water providers to filter, disinfect and test tap water for organic chemicals, bacteria and viruses before releasing it to the public. On the other hand, stringent tests are not required by the FDA for bottled water. In fact, there is no strict rule for testing bottled water for toxic chemicals and parasite content. Because of this, people with weak immune systems, like cancer and diabetes patients, are not advised to drink bottled water. Granted, drinking tap water may affect your monthly water bill, but it remains cheap and affordable. Besides, it is readily available, has neutral alkaline pH and contains some beneficial minerals. What’s more, tap water has safe levels of fluoride which can help prevent dental caries or tooth decay. On the other hand, bottled water is more expensive (around 10,000 times pricier), has high acid pH, less nutritional minerals, and may contain undesirable levels of chemicals that have leached from the plastic container. In fact, higher incidences of tooth decay are noted due to the popularity of bottled water which does not contain fluoride. Worse, the expense of recycling plastic bottles has been proven to be a financial burden to most municipalities. Tap water is more environment-friendly. It requires no packaging; all you need to do is put it in reusable water containers which can be used for years thus preventing thousands of plastic bottles from getting into landfills. Meanwhile, bottled water creates additional waste because it is packed in plastic containers. Unfortunately, majority of these plastic bottles are not recycled and end up in landfills and oceans thus causing water pollution and threaten marine life. In the battle of bottled water vs tap water, the victor seems to be tap water especially if you do something to improve its quality. Tap water can be contaminated with synthetic chemicals or other impurities which cannot be removed by the water provider’s treatment process. Therefore, it is recommended to have your tap water tested for contaminants and employ a water filtration system that can effectively eradicate those impurities.